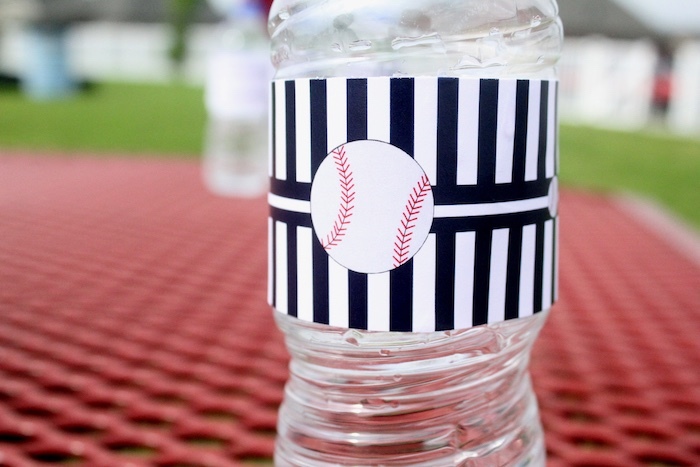 “Hey batta, batta, batta! 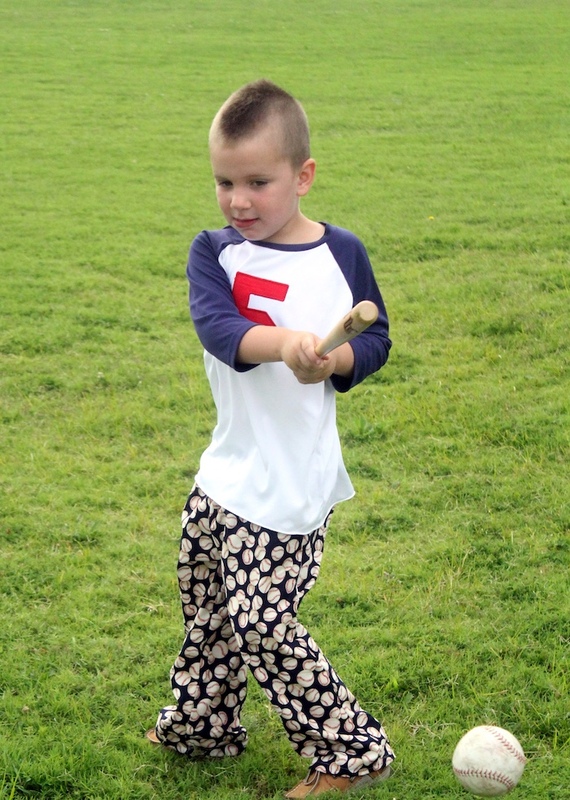 Swing batta, batta, batta”! 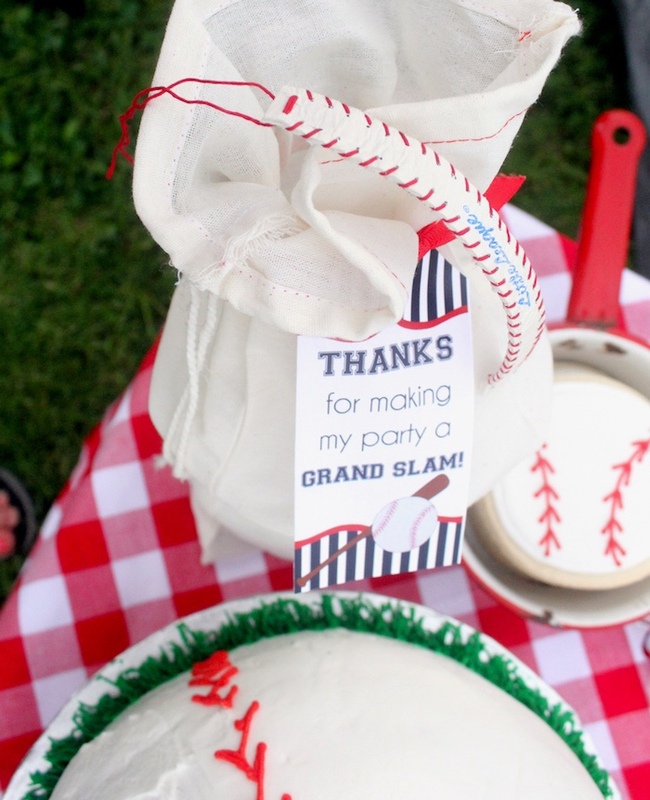 And get ready for some home-run party details…In this darling “Slugger Sleepover” Baseball Birthday Party by Brenda Byers of Great Stitch. 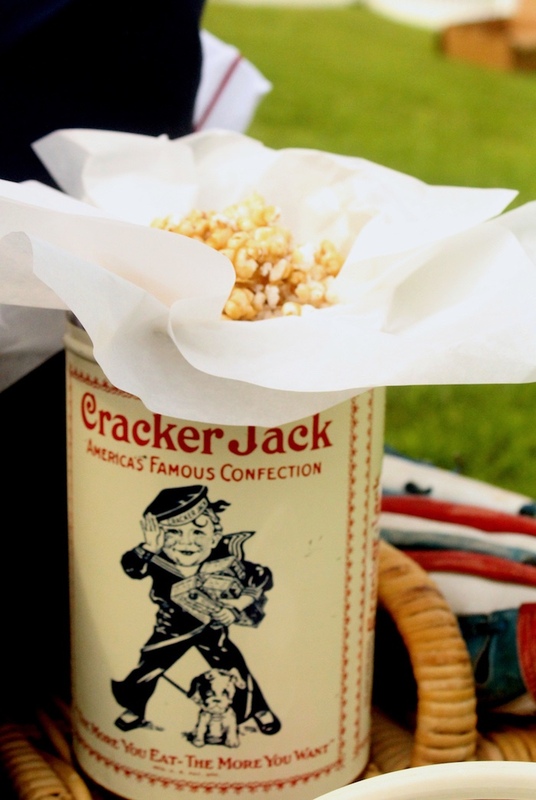 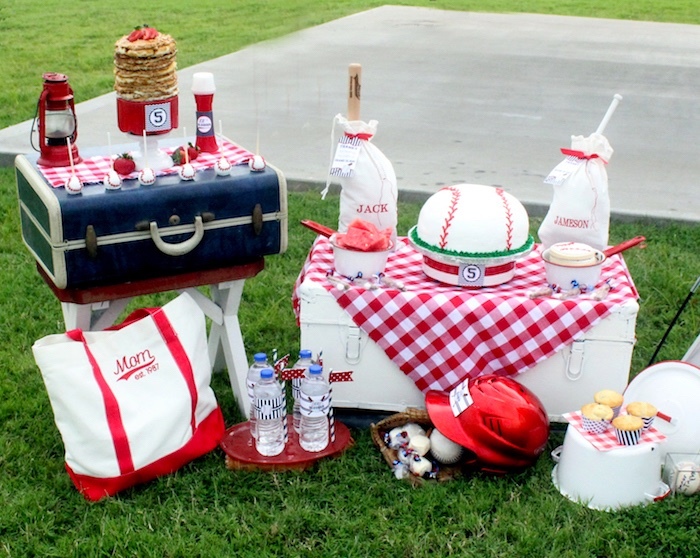 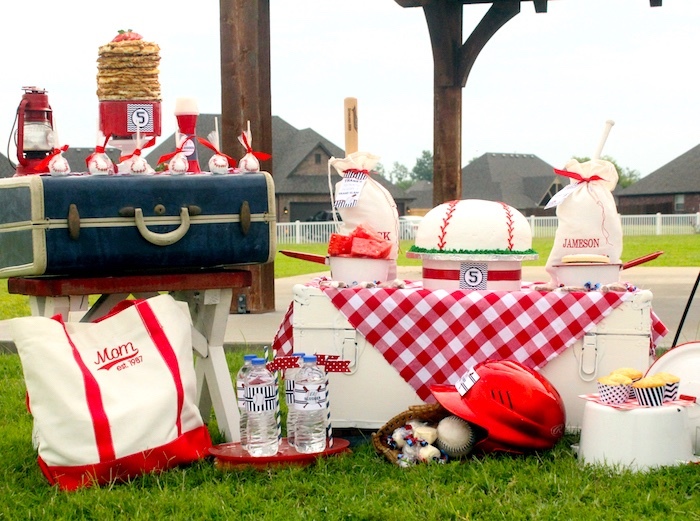 From the cute suitcase and trunk dessert spread to the darling pancake cake and custom baseball sweets and favors, this fun-filled event is sure to win the game! 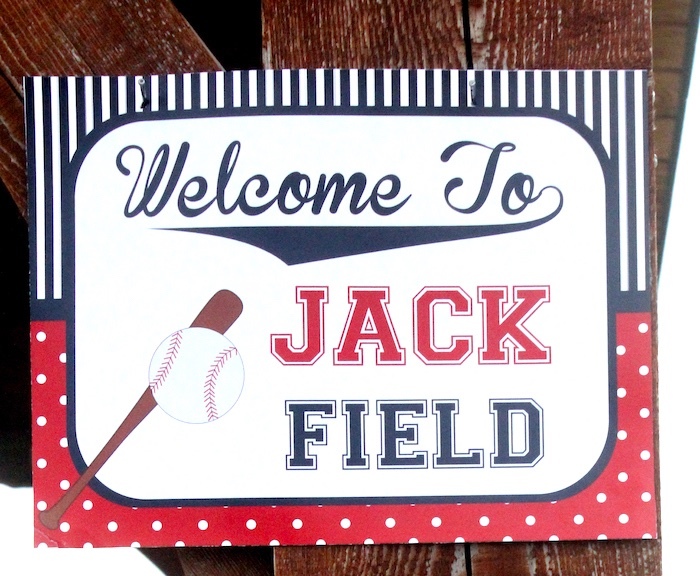 And cute baseball party signage! 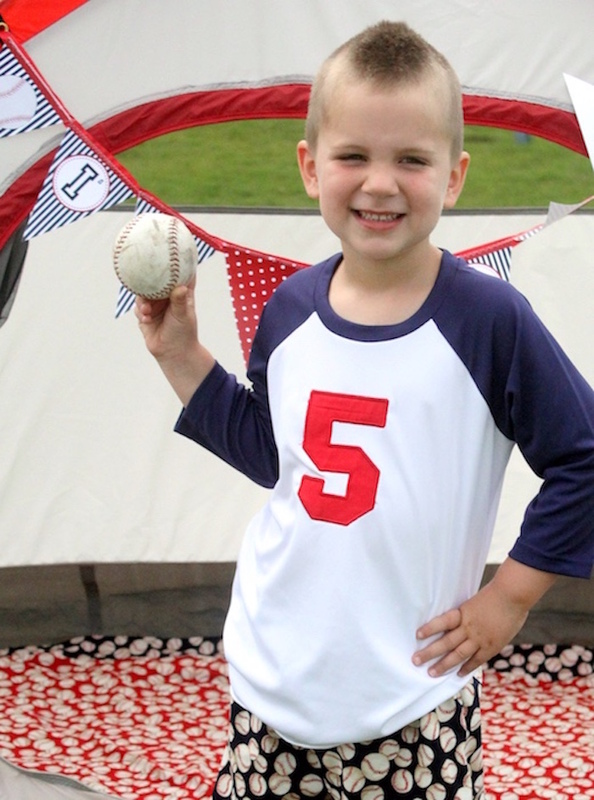 but especially for little boys. 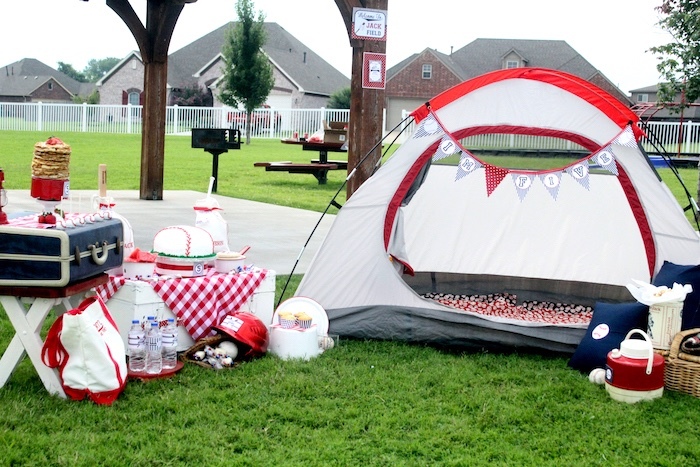 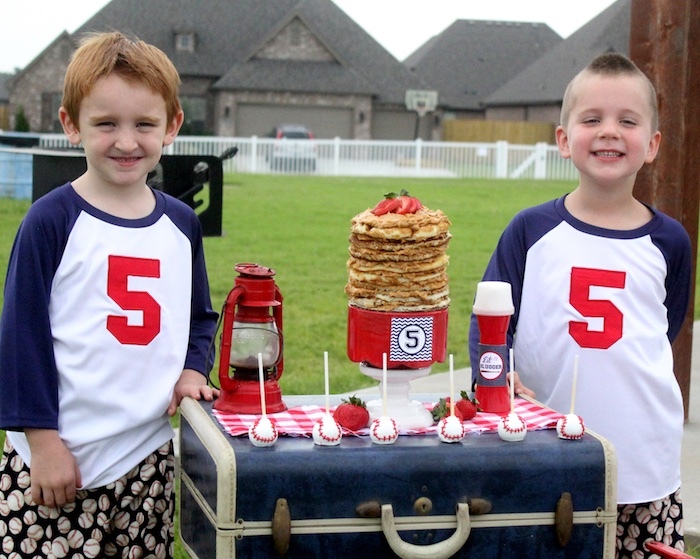 For a couple of baseball-dreaming best friends, a Slugger Sleepover made the perfect theme for a fifth birthday party. 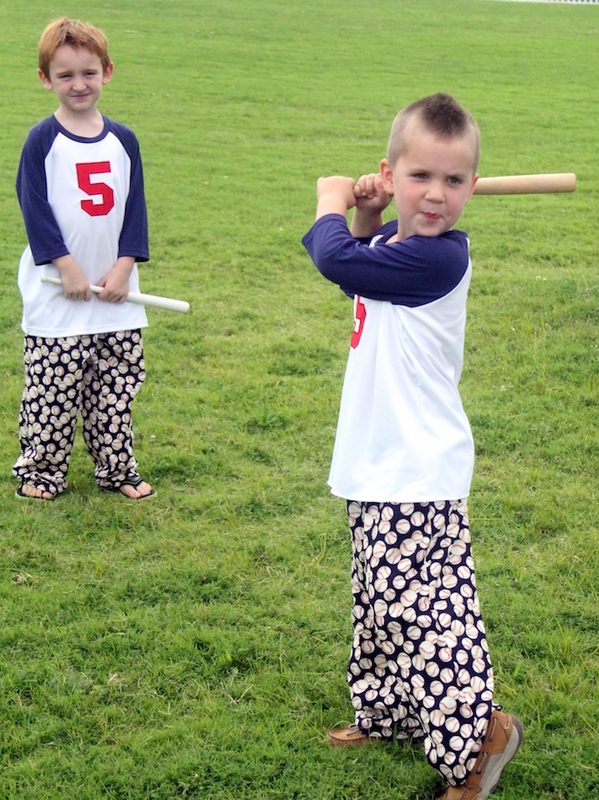 GreatStitch did all the monogramming and PJ pants. 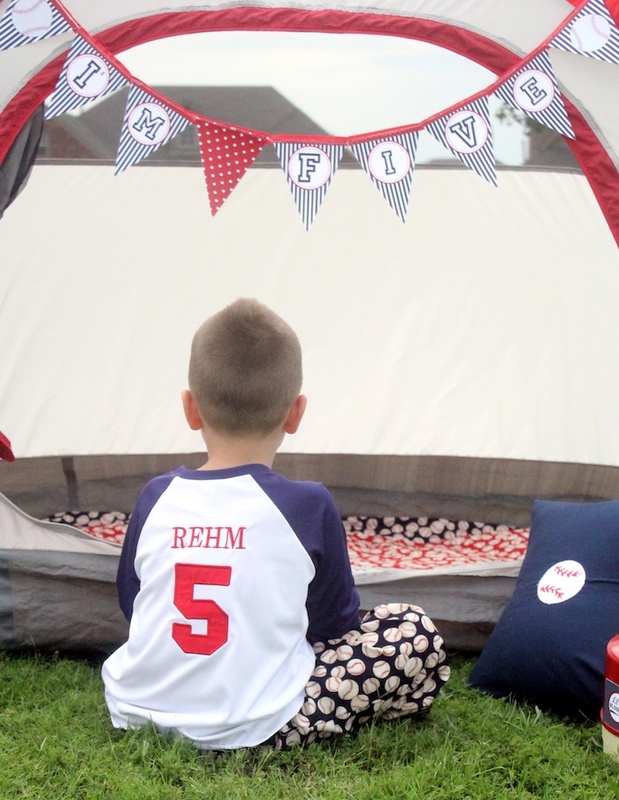 One thing were learned is that sleepovers go so much better with a themeit just seems to keep everything on track. 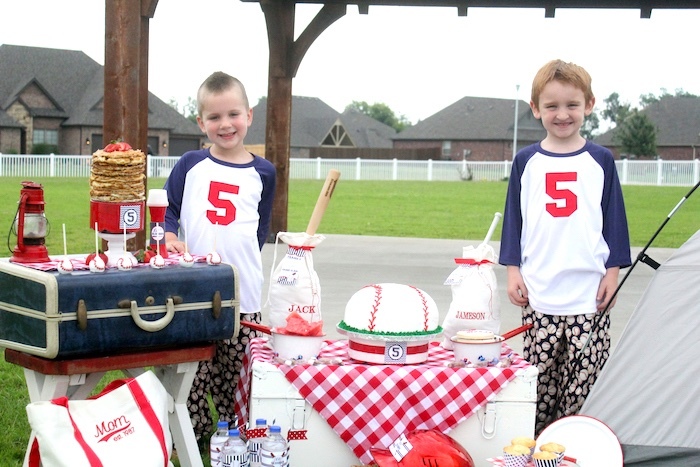 Starting with the moment they come in and change into their baseball PJ/uniforms, it sets the pace for them to be together as a team. 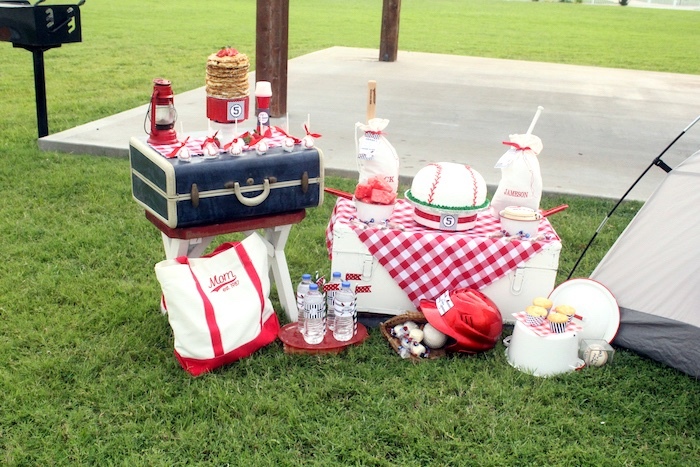 Gypsy Canon took the fun photos of this event. 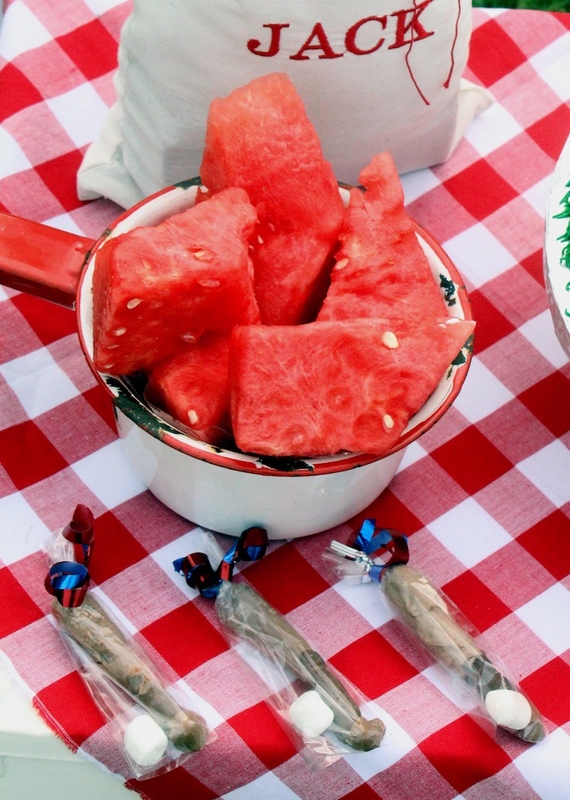 She has a way of capturing the details that make me want to eat everything in the photo! 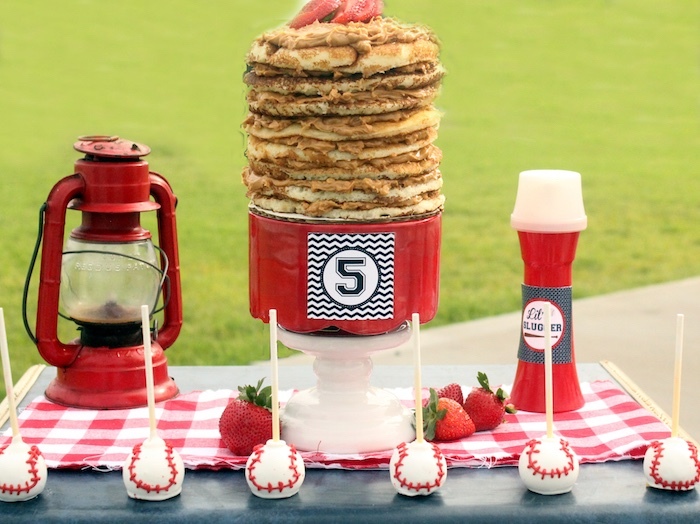 The pancake cake we made using a big cookie cutter (a jar lid actually) on the pancakes after they were cooked. 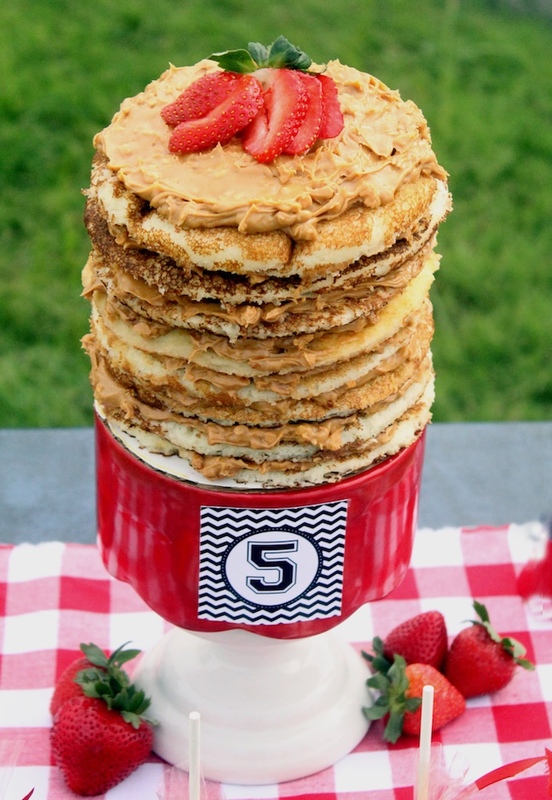 Then we layered peanut butter and pancakes. 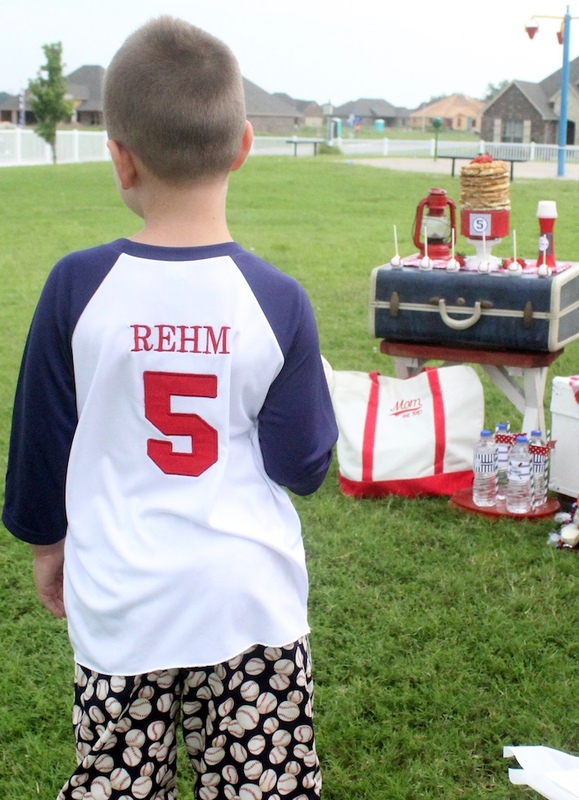 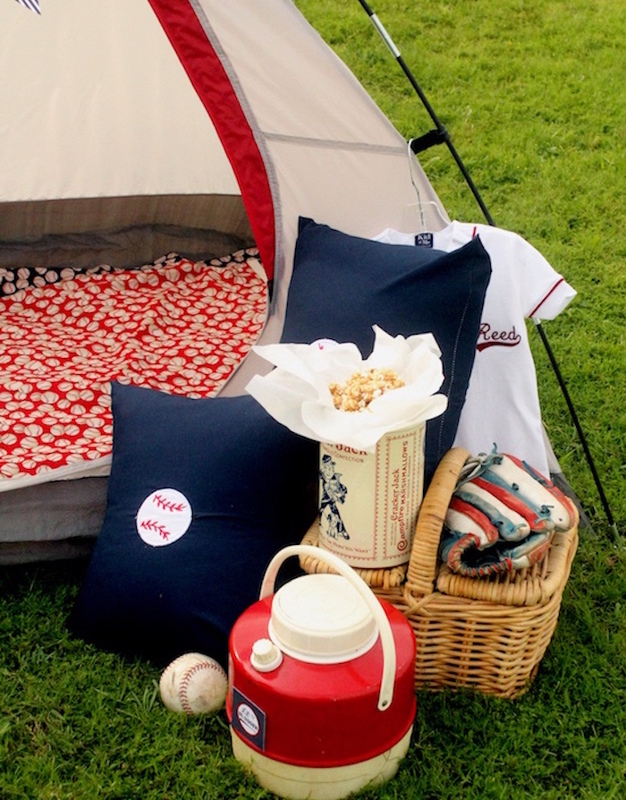 Forever Your Prints was kind enough to ask us to do a baseball party and we loved the idea! 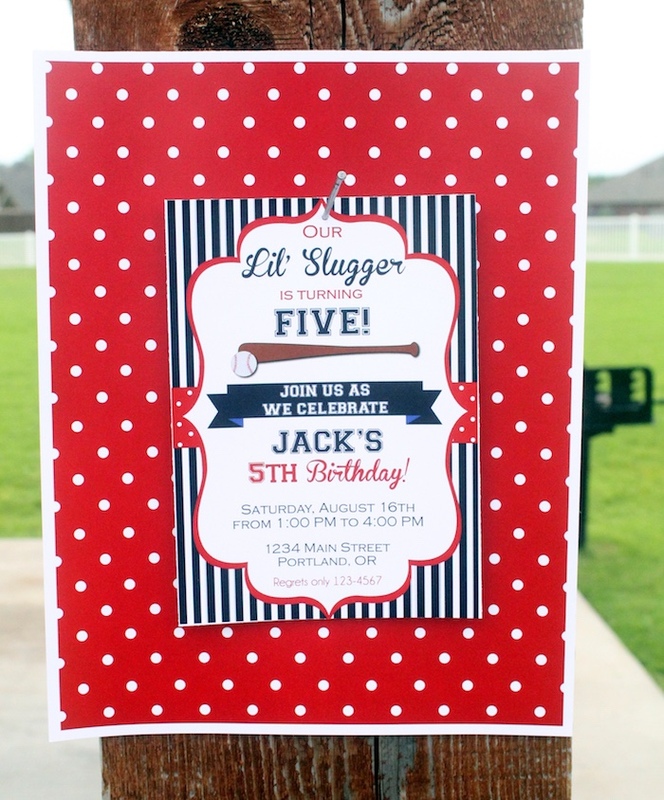 The printables for this party are all from them, and they are adorable! 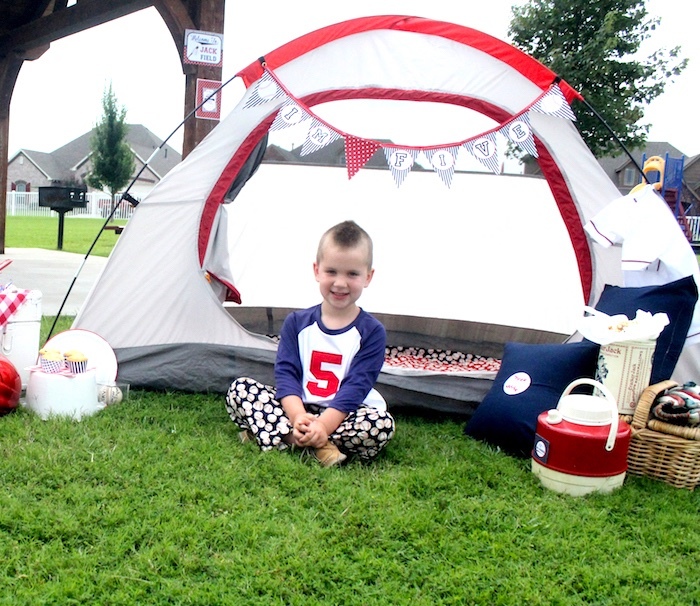 We used drink wraps, a birthday banner, a welcome sign, thank you tags, cupcake wrappers and number squares. 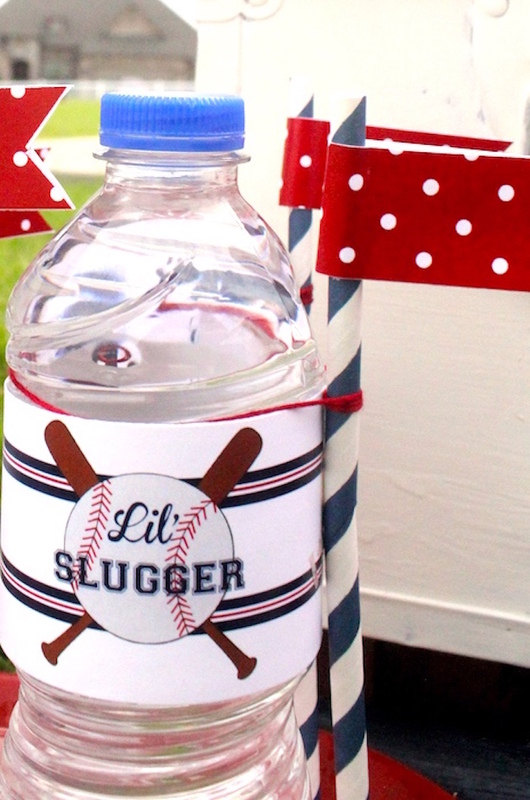 SomeMoBracelets has some really awesome ideas for bracelets! 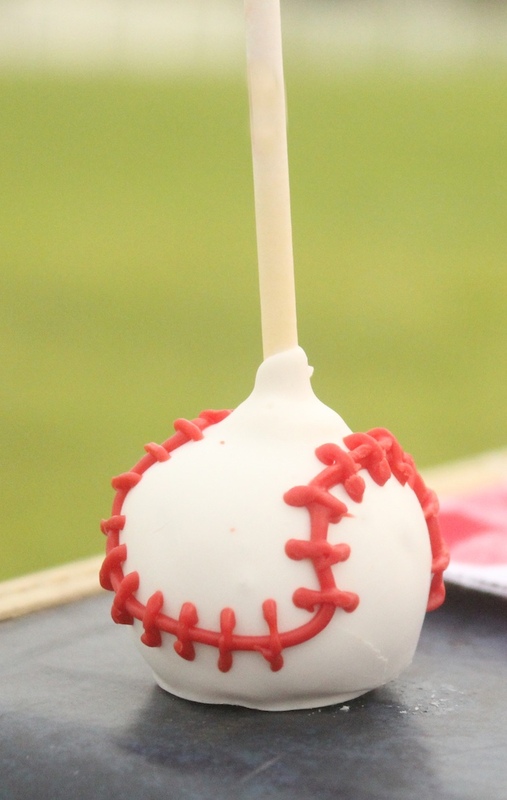 I loved that these look and feel like a baseball! 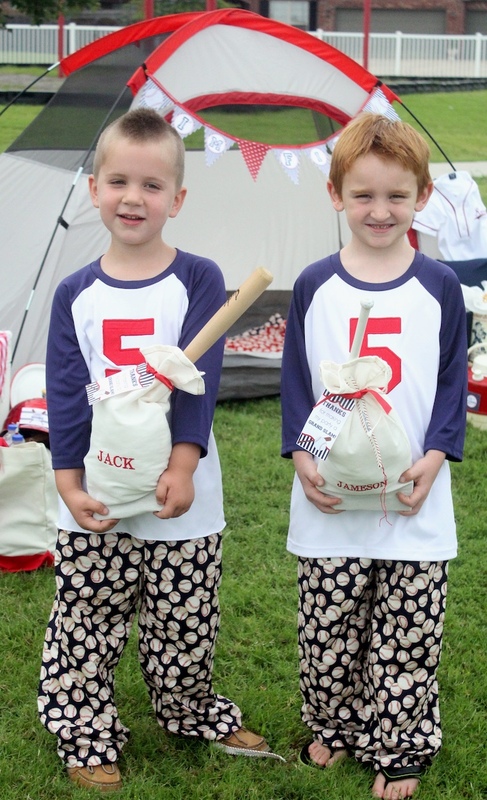 The boys loved them too! 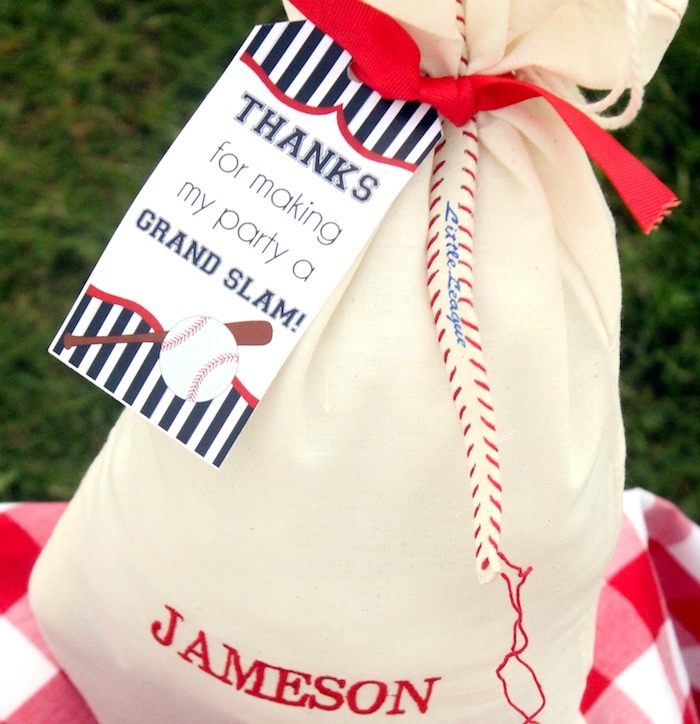 this quality engraving is a really fun gift!